The big economic news for the week is the spectacular growth in revenue for the United States technology giants and the far lower economic growth than forecast. The American companies of Apple, Amazon, Facebook, Google, Microsoft, are global leaders in their respective fields. Quarter 2 results saw impressive revenue growth overall. The United States economic GDP (Gross Domestic Product) growth came in at 1.2%, while 2.6% was forecast. In addition, Quarter 1 GDP was revised downward again, back to 0.8% from 1.1%. At the G-20 conference of monetary leaders involving the top economies in the world being held in China, the discussions this time focused on growth. There are fears of rising protectionism and the end result as the United Kingdom prepares to leave the European Union. In the United States, the Democratic Party nominated Hillary Clinton as their candidate for President, following the similar move by the Republicans in putting forth the business tycoon Donald Trump last week. The corporate sector witnessed some major mergers this week. The week started with United States based Verizon moving forward in acquiring the core internet assets of Yahoo and some real estate for $4.8 billion USD (United States Dollar). 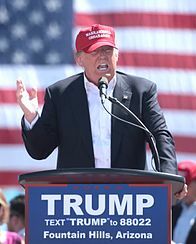 In trade news, presidential candidate Donald Trump has threatened to remove the United States out of the WTO (World Trade Organization), if members interfered with his plan to penalize American companies that wish to relocate production overseas. Trump has also criticized NAFTA (North American Free Trade Association) that is founded on more open trade between Canada, Mexico and the United States. He does not wish for the United States to join the Trans-Pacific Partnership and has threatened China with massive import tariffs for unfair and illegal trading practices. In the Eurozone, GDP growth came in at 0.3% in Quarter 2 after a rate of 0.6% in Quarter 1. This was mostly in line with forecasts. Recessionary fears are now looming across Europe. 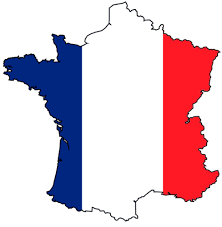 In France, GDP is now flat when 0.2% had been expected. Slow consumer spending and investment is stifling growth in Europe’s second largest economy. Spain reported GDP expansion of 0.7% in Quarter 2. GDP in Sweden grew 0.3% in Quarter 2 only half of what was forecast. Growth was revised downward for Quarter 1 from 0.5% to 0.4%, due to weak exports and low inflation. The economy of Italy is reeling due to the impact of the banking crisis and the lingering effects of Brexit. Growth for the year will be under 1%. Unemployment edged up to 11.6% in May and youthful unemployment remains stubbornly high at 36.5%. The government continues to insist the Italian banking crisis is being exaggerated. Italy is continuing to attempt a fix on their banking system without breaking the Eurozone rules that prohibit an injection of state funds. 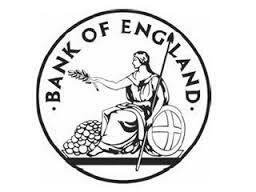 The Bank of England is now reconsidering immediate stimulus for the economy in the wake of some data suggesting the United Kingdom may be heading for a recession. 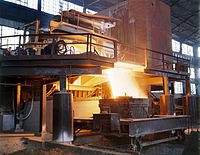 Yet, the country witnessed the biggest upturn in industrial production since 1999, during the second quarter of 2016. GDP increased to 0.6% from 0.4% in the first quarter. The Bank of Japan decided to hold interest states steady despite stagnating domestic growth. Further monetary easing was announced, but was only moderately increased. The total value of exchange traded stock funds to be purchased by the central bank on an annual basis, will be increased from 3.3 trillion yen to 6 trillion. This is the equivalent of $57 billion USD. Meanwhile, in Japan trade data indicates the worlds 3rd largest economy continues to remain sluggish due to low demand both domestically and abroad. For the 9th straight month exports are down. They dipped 7.4% year to year. Imports have declined for 18 consecutive months with a drop of 18.8% year to year. In Turkey two weeks after the attempted coup, President Erdogan continues to tighten his grip. He is ordered the closure of over 2,000 charities, private schools and a number of other institutions. He also is extending detentions without formal charges to 30 days. In addition, the President is shutting down 130 different media outlets and fired more than 1,600 military officers. For Turkey, any hope of joining the European Union is now almost impossible. This is despite the urgent need that Europe has to come to some kind of agreement with Turkey, over the issue of Middle Eastern migrants. Egypt is trying to finalize the deal with the IMF (International Monetary Fund) to gain access to $7 billion USD over the next 3 years. The Dow Jones Industrials and the Standard & Poor 500 index reached new all time highs last week and the tech sector NASDAQ a new high for 2016. 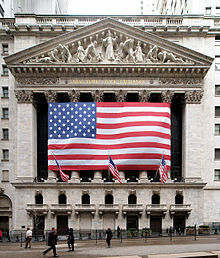 The advance in stocks was arrested towards the end of this week due to dropping crude prices and lower GDP numbers. According to leading analysts, this will be the 4th straight quarter of declining profits in the corporate sector. Earnings are projected to be 4.7% lower, than a year ago. This follows a 5% drop in Quarter 1. The United States 10 year government bond yield, is still low at 1.52%. However, the American dollar is at a 4 month high against the major currencies of the world. It is a result of the investor flight to safety. Gold has retrenched this week, after reaching a high of $1,370.80 earlier this month. The price is now listed at $1351.40, an increase of $27.20 USD from last week.. The big mover still remains silver. The price Friday morning, leaves is up $0.71 USD, at $20.39. This equates to a 3.61% increase since last Friday. Crude oil is at 3 month lows and is in bear territory. The price per barrel has dropped from $52 USD in June to under $41 USD on the last trading day in July. This equates to a drop in valuation of some 25%. On Friday afternoon, American West Texas Intermediate (WTI) oil increased +1.12% to $41.60 USD. Prices are now $2.58 USD lower from last week. It equates to a decline of 6.20% from last Friday. International priced Brent is up by +0.69% at $43.53. This is a $2.13 USD or 4.89% decrease in valuation from the week before. ← Next Post United States 2016 Presidential Election: Plans For Economic Growth?